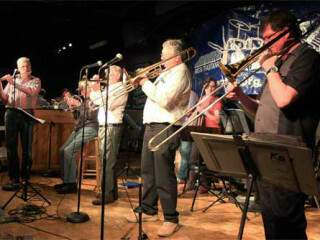 Get out on the dance floor for a special concert from Austin Traditional Jazz Society and the Thrift Set Orchestra. This wonderful jazz ensemble is led by Jonathan Doyle and features the talents of Lyon Graulty (saxophone and clarinet), David Jellema (cornet and clarinet), Alex Heitlinger (trombone), Jamey Cummins (guitar), Westen Borghesi (banjo), Josh Hoag (string bass) and Paul Schlichting (drums). $10 general admission; $5 for students; Admission is free for ATJS members.